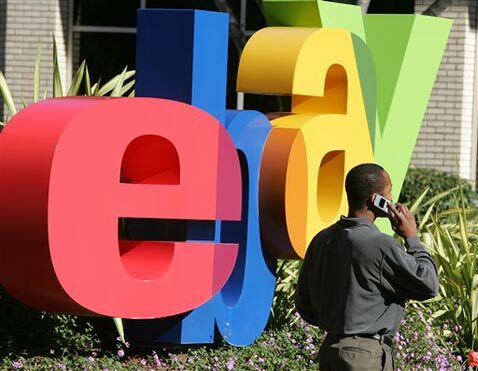 Shipping eBay freight from the USA. Remote eBay shipping. SHIPPING FREIGHT FROM USA REMOTELY. ORDER A CARGO DELIVERY FROM USA WHILE YOU ARE NOT IN THE USA. eBay SHIPPING FRIENDLY! Shipping freight from the USA remotely may appear to be complicated, stressful and costly. That is not correct. Consider this AMID Logistics Real-time online Sea Freight Calculator. It is specifically designed for shipping cargo from the USA, no matter either you are in U.S. or not. Shipping freight from the USA by using this calculator allows you to ship from USA boxes, crates or pallets from almost any place in the world. You can arrange an international delivery from the USA on any legal commercial cargo or ship from USA household goods and personal effects in boxes, crates, and pallets online, avoiding involving any third parties or international moving companies. This Real-time online Sea freight Price Calculator is a part of our Online Automated System on shipping freight from the USA overseas. By utilizing this online System you will be able to quote and book shipping freight from the USA instantly. You will receive complete shipping cargo instructions in an email. Then generate and submit essential documents on sipping goods from the USA, receive updates and finally obtain your sea freight shipping U.S. Bill of Lading. Consider flexible payments options. This step-by-step guide link should help you to understand general procedures on shipping freight from the USA by sea. Most of the time U.S. merchants, as well as U.S. eBay and Amazon sellers, support shipping goods to U.S. and Canada buyers. They may offer a domestic delivery service on shipping goods within the USA. 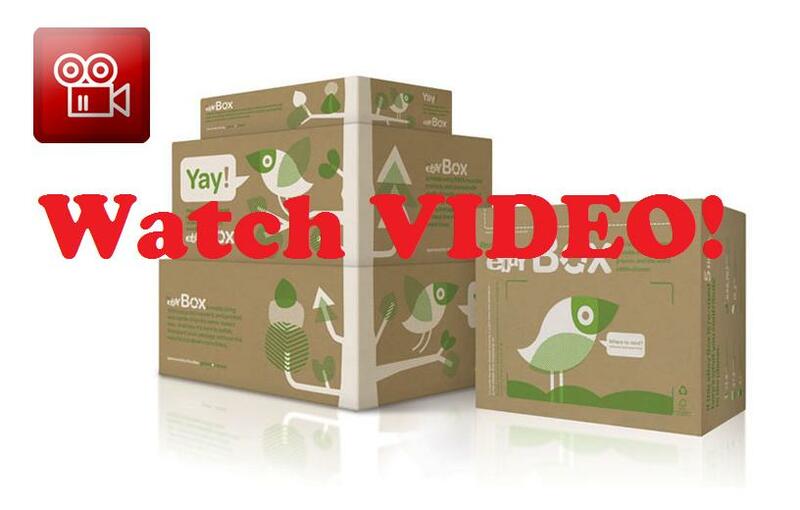 They may ship goods within the USA for a shipping and handling fee or even ship it for free. However, most of the time they are not shipping cargo from the USA to other countries. Typically U.S. eBay, Amazon sellers, and other U.S. vendors will avoid being involved in any procedures related to shipping freight from the USA. However, they never mind selling goods overseas, if someone will arrange shipping goods from the USA to foreign buyers. Having certain instructions, they can properly prepare shipping cargo from the USA to the international shipment. They will pack it in shipping boxes, crates or pallets, label by providing to them shipping labels and either deliver cargo to a freight terminal within the United States or submit to a pickup driver for further shipping out of USA. Fortunately, by using AMID Logistics International Shipping System on shipping freight from the USA you are able to arrange sizable deliveries from the USA to any country listed in our Sea freight Calculator remotely 24/7. FCL COMMERCIAL CARGO (Full Container Load): Shipping cargo from the USA that contains a commercial goods only in entire containers. Refer to this related sub-domain. IMPORTANT! : You must NOT use pricing schedule in this sub-domain on shipping from USA Household Goods and Personal effects! Rates and shipping procedures on commercial cargo are different from shipping Household Goods and Personal effects from the USA. For shipping Household Goods and Personal effects from the USA use another sub-domains below. FCL on shipping HOUSEHOLD GOODS/PERSONAL EFFECTS from the USA: Shipping cargo from the USA in entire multimodal sea freight containers loaded with Household Goods or Personal effects that are not for sale, but for personal use only. Refer to this related sub-domain. IMPORTANT! : No motor vehicles* can be included! Shipping from USA motor vehicles requires special customs formalities and procedures. FCL containing MOTOR VEHICLES*: International shipping from USA entire containers with motor vehicles consolidated in multimodal ocean freight containers. Refer to this related domain. RO-RO shipping service: Shipping from USA cars, trucks, trailers, boats, heavy equipment etc from the USA overseas. Refer to this related domain. * In respect of international shipping freight from the USA, motor vehicles mean vehicles such as cars, motorcycles, boats, jet ski etc that require a registration with the Department of Motor Vehicles (DMV). Note: Use these instructions ONLY on shipping LCL freight from the USA. If you are concerned about other types of international sea freight services, then disregard. Contact us with questions on shipping freight from the USA related to another type of service. With AMID Logistics, shipping LCL freight from the USA is not complicated at all. Most important that at a time of purchasing something from a USA vendor with an intention on shipping goods from the USA overseas, you should clarify with the vendor either your U.S. vendor provides free deliveries within the USA or not. Get an LCL freight price quote on shipping cargo from the USA in our website. Email the quote to yourself. Keep this email on records till you will complete your deal with U.S. vendor. Then book your international sea freight shipment from the USA online via your quote. Get an instant email with a copy of your booking on shipping cargo from the USA. Pay a deposit. 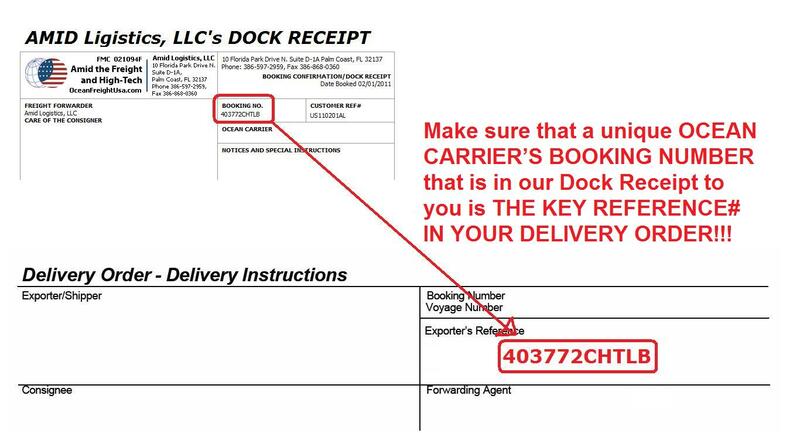 We will work on your booking and, within 24 business hours, you should receive an email with our Dock Receipt containing complete shipping instructions on shipping your goods from the USA overseas. Read these instructions and, if everything is in order, forward instructions your U.S. vendor. Ask them to follow the shipping instructions and deliver your boxes, crates or pallets to the freight terminal in the U.S. that assigned in the instructions on shipping cargo from USA*. At a time of getting an online quote on shipping freight from the USA select from pickup options YES. PICKUP IS REQUIRED. Then book your international shipment via the quote email selecting a PICKUP OPTION and get our shipping instructions in an email. Provide these instructions to your vendor. Ask to follow it and prepare your goods to be picked up (collected at your U.S. vendor.). We will send a trucker to pick up your boxes, crates or pallets to the shipping from the USA. All further shipping procedures will be the same with regular shipping cargo from USA procedures explained in this step-by-step guide. If you deliver your boxes, ctates or pallets directly to an cean freight carrier's freight terminal (called CFS - Container Freight Station), then the CARRIER'S BOOKING NUMBER, is the KEY NUMBER to recognize and accept your boxes, crate or pallets by the CFS. Note: CFSs are listed in our freight calculator in upper case, highlighted and WITHOUT asterisk (*) like ATLANTA, GA for example. If you deliver your boxes, crates or pallets to an U.S. domestic line haul freight terminal (LH) to be transshiped within the USA to a CFS, then your key document is an LTL Inland Bill of Lading. Note: LH terminals are listed in our freight calculator in lowercase an WITH asterisk like Akron, OH* for example. In respect of shipping freight from the USA with AMID Logistics, partial shipments are the number of smaller cargo deliveries that need to be combined into one single international LCL sea freight shipment for shipping from the USA overseas. An example can be a number of smaller U.S. eBay or Amazon orders delivered to a particular ocean freight carriers terminal (CFS - Container Freight Station) in the USA, to be consolidated in one single international LCL sea freight shipment. Typically each LCL shipment booked with us (and shipment's booking and reference numbers) is related to only one single cargo delivery with an intention to ship the cargo from the USA as soon as possible. I.e. if all export documents are in order and there no other particular reasons to hold cargo at CFS, then each cargo delivery to CFS will be matching with the carriers booking number and released to the shipping from the USA automatically without any additional notices. If you need to combine two or more cargo deliveries into one single shipment/bill of lading under one carrier's booking and AMID's customer reference numbers, then it must be requested in advance and approved by AMID Logistics. If approved, then partial shipments are subject to AMID Logistics partial shipments fee $35 per every single additional cargo delivery on top of the first delivery. Ocean freight carrier's CFS storage, handling, documentation etc fees may apply as well. Important: Some international ocean freight carriers do not offer partial shipments service on shipping cargo from the USA. Partial shipments may be subject to international sea freight carrier's fee (if applicable). If a partial shipment is not approved by AMID Logistics, LLC till the booking, then every single cargo delivery to CFS will be processed on regular basis such a single shipment. For more details regarding shipping from the USA any kind of partial cargo please contact AMID Logistics, LLC in advance.